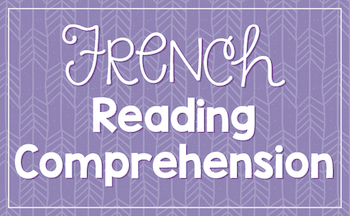 Is teaching French grammar your least favorite part of teaching? Do your students get bored with the grammar drills? It doesn’t have to be that way!Learning a foreign language should be fun, shouldn’t it? Kids take our classes for a variety of reasons: They need to fulfill an elective. They need the credits for college. They want to learn to speak another language. They have to be enrolled in foreign language. They think it will be fun. Regardless of the reason, learning CAN and SHOULD be fun! 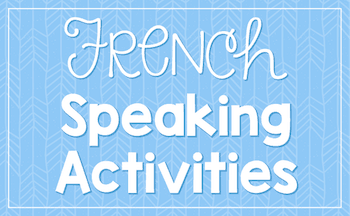 Here are a few fun games for French class to help keep your lessons fresh and fun! Kids learn more when moving, and they will definitely be more awake. Use TPR, have them act out verbs as you call them out, play charades, do white board races, create skits, or role-play. Do anything that is interactive and helps them move! Want more ideas for getting them moving? Check out 7 ways to incorporate movement into your classroom. Our favorite movement game in my class is SCOOT! Simply cut out the cards, tape one on each desk, and have students move from desk to desk answering questions. I give my students 30 seconds per desk, then call out Scoot! (In French, we say Filez!) 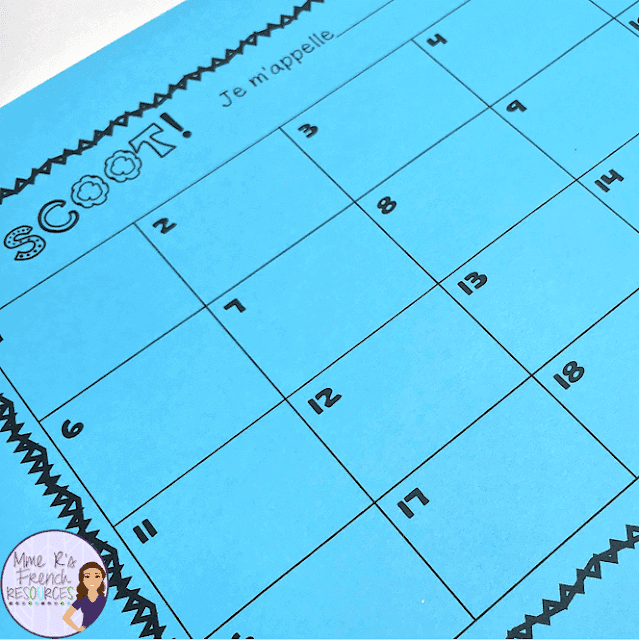 When students hear Scoot, they move to the next desk and continue until they have completed all of the questions. The kids love it because they are not sitting, and the movement helps students stay focused. 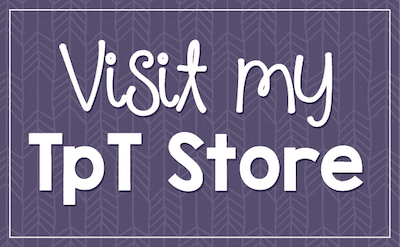 It is great for practice anytime you want to review and have fun! Here’s what my Avoir and Être Scoot game looks like. I have Scoot for all levels Click here to see my Scoot games. 2. Stock up on supplies at dollar stores. You can find playing cards (great for practicing numbers), dice, game pieces, foam blocks, miniature clip boards, timers, and fly swatters. 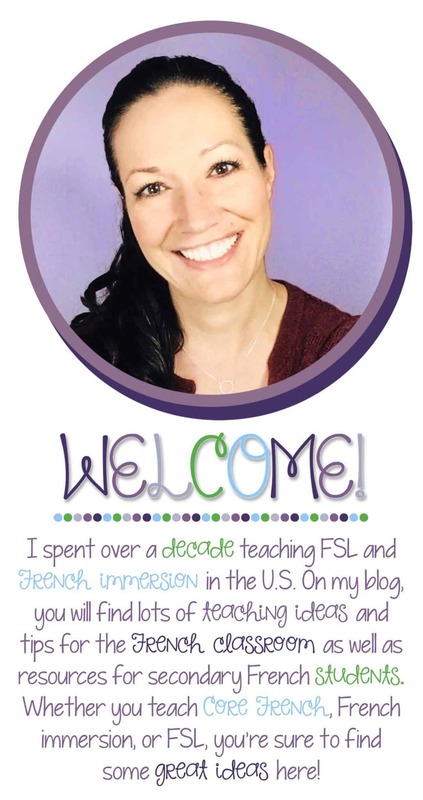 I have bought flash cards for colors and numbers, and these can make fun learning centers for middle school or can be incorporated into a lot of games for high-schoolers. I also love push lights! You can use these as buzzers for games (except they don’t buzz, so there is less noise). 3. Don’t feel pressured to bring technology into every lesson. Yes, my classes love to play Trivia with their buzzers, and they think it is so fun to see race cars zoom across my Smartboard, but they also love good, old-fashioned board games. My students particularly love this board game for reinforcing French clothing. This is a great, non-threatening way to get beginners to speak. Students play in groups of 2-4 and create sentences using the vocabulary depicted on the board. Because they get to practice in small groups, they are willing to test out their new vocabulary. If you have advanced learners, you can ask them to also describe the weather in which they’d wear that article or clothing or say an activity they would do during in that outfit. Make it really hard by combining the two! Want to differentiate even more? There are more ideas in the game for making it more challenging. Click here to see this game! This requires wipe-off boards and dry erase markers. I like to do this with verb conjugations. I divide the class into 4 quadrants (teams) and give them a verb to conjugate. The first student to raise his/her board with the correct answer wins a point for the team. If you cannot decide who was first, you can give a point to the top 2 teams. If it is too hard to determine, no point is given. Play continues until you have practiced the verbs you want to practice. Students practice vocabulary words, spelling, or verb conjugations in teams at the board. Requires no prep, but some students may feel shy about coming to the board. If you have students who are shy, you can allow each student 2 passes, and they can pass the marker to another student on their team. 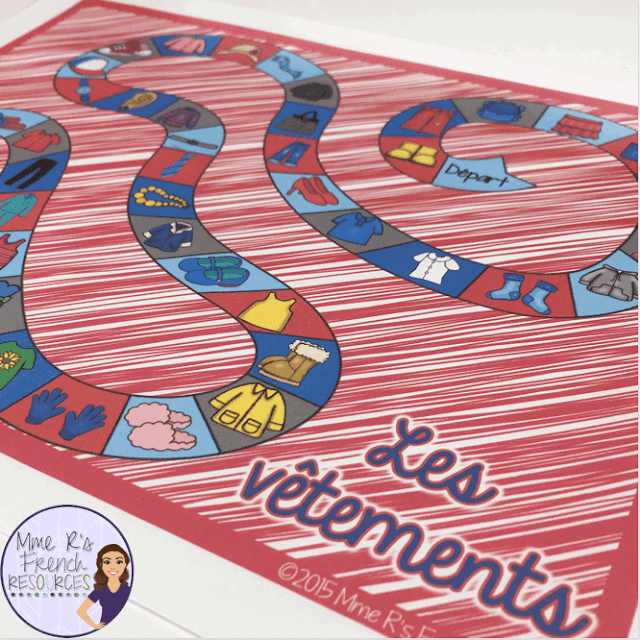 We love to play this when learning body parts. I call it “Jacques dit…” Give the kids instructions (Jacques dit…place your right hand on your head). Students should only follow the instructions if the instructions are preceded by Jacques dit…If they follow the instructions but you didn’t say Jaques dit… they are out and have to sit down. The last remaining student wins. 4. La Claque ! This is my students’ favorite game by far! This is best played in groups of 4-5. 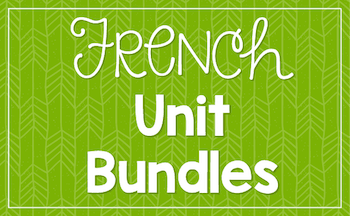 Print out your unit vocabulary words in large font. I use a font of about size 32 and I typically do 20-25 words at a time. 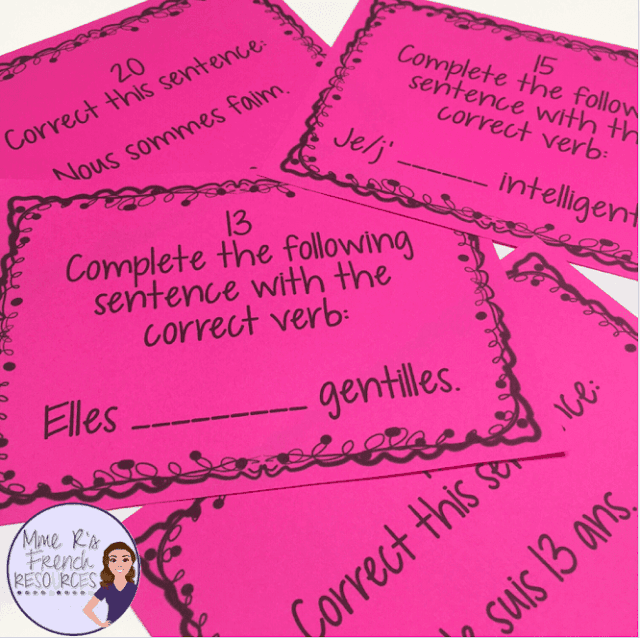 Cut them out and have students place them face up on their desks or the floor. 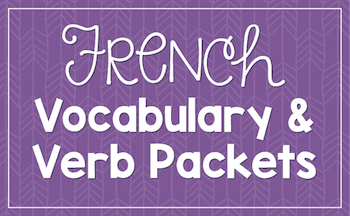 Make sure all students can see and reach all vocabulary words. I have them start with their hands on their heads, but you can also have them put their hands behind their backs. Call out the definition or translation and the students swat the word and leave their hands there. The student who finds and swats the word first will keep the word. Continue until you have done all of the words. The student who has the most words wins. 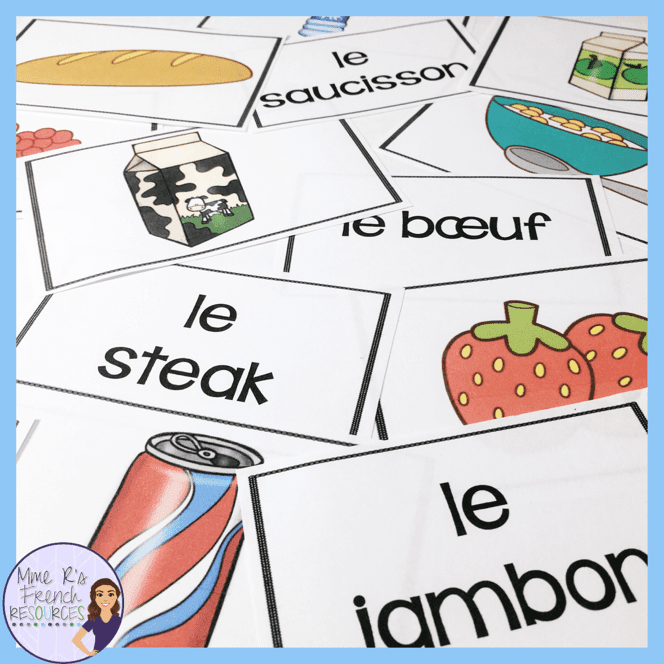 Here’s a version from my store for food vocabulary that includes over 75 word cards, over 75 image cards, and 8 editable cards for you to add your own terms. 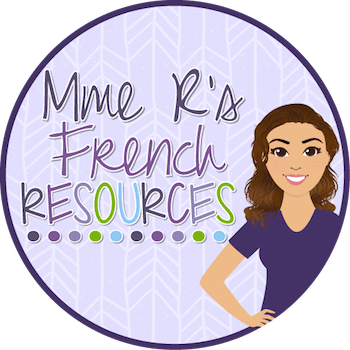 Click here to see this French food game! This version is played in two teams (or four if you want to rotate). Write the words on the board and have the students swat the correct word with a fly swatter. Two students come to the board at a time. The student who swats the word first wins a point for her/her team. 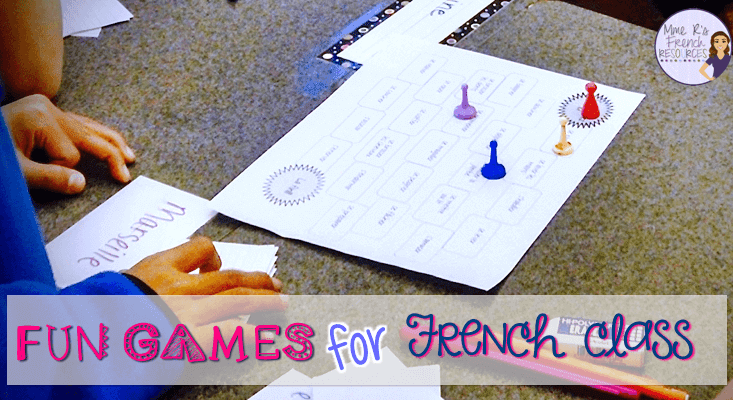 Love French games? 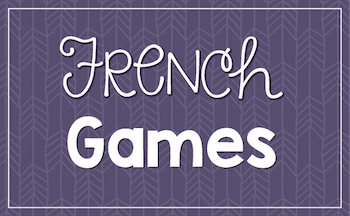 Click here to see all of my French games. What great ideas! I love how easy it would be to adapt this games to any language study. Thanks! These are fabulous ideas! Learning French was a lot different when I was in school!!! You make it fun and motivating with these games!!! Great ideas!! Marvelous ideas for games, and they can transfer to any area!